The reality is that there are only two aircraft suppliers in the world. Airplanes are expensive, take a long time to build - and when airlines buy them, it is with the thought that they will be used for decades based on their passenger demand models. Grounding a plane affects the supply of (not the demand for) seats. Airplane are so expensive that once an airline buys one, it wants to put it to use as much as possible.A plane takes a long time to make, a year or longer, and even buying used planes can take a while. “It’s not like they have a bunch lying around." The airplane-building industry is a duopoly. Airbus’s order book is also not empty. The DC-6 and the Boeing 727 both went on to have “stellar” careers after early incidents. So the 737 Max just might get rebranded. One analyst who follows Boeing closely didn’t see “meaningful long-term risk” for the company. 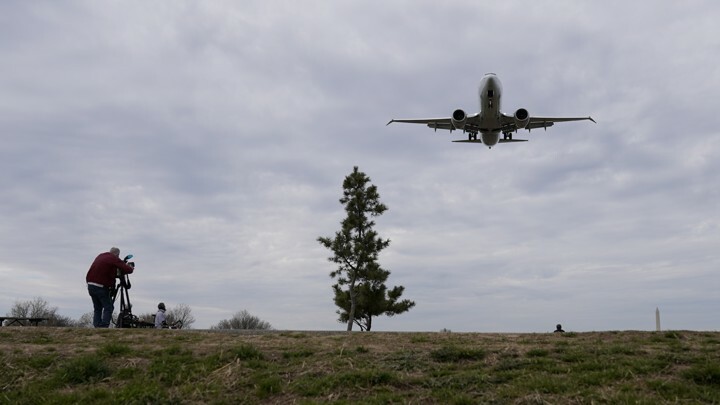 The U.S. government ordered the grounding of Boeing’s 737 Max airplanes, following similar mandates in the preceding days by dozens of countries after a crash of one such plane in Ethiopia. The hundreds of 737 Max planes previously in service worldwide are all currently grounded. In many other industries, when a product has a flaw, companies can rely on a range of workarounds, such as other suppliers who can rise to fill the need, or other products that can be subbed in quickly. But because of the airline industry’s peculiarities—from the importance of airlines’ in-advance flight-traffic projections to the extraordinary cost of a single plane—this temporary ban could have far-reaching, hard-to-contain effects. The grounding will likely hurt Boeing, whose shares are down after the Ethiopian Airlines crash and whose sales might take a hit. It will likely hurt airlines, which now have fewer seats with which to shuttle customers around the country and the world. And it will likely hurt passengers, who might have to adjust their schedule and, in some cases, their spending. But most notable is the scale of it all: Depending on the duration of the grounding, it could cost all involved parties billions of dollars. Airlines—Boeing’s customers—are not in a great position either. The primary challenge in the industry, says Clifford Winston, an economist at the nonpartisan Brookings Institution, is how far in advance airlines have to decide how large their fleet should be at any given time. “A plane takes a long time to make,” he says—sometimes a year or longer, and even buying used planes can take a while. Airlines’ task, in essence, is to guess how many people want to go from, say, Nashville to Denver on this day next year, and then buy a bunch of elaborate, $100 million metal contraptions accordingly. Because airlines’ fleets are assembled according to long-term projections, they might have trouble adapting quickly to events that hurt demand, such as recessions or terrorist attacks.“That’s when they lose a ton of money,” Winston says. Grounding a certain model of plane, while it affects the supply of (not the demand for) seats, can have a similar effect. Planes are such a big investment that once an airline buys one, it wants to put it to use as much as possible, which means, Winston says, “it’s not like they have a bunch lying around” for situations like this. Basically, airlines are now stuck making the most of what they already have. Southwest isn’t the only U.S. airline with 737 Max planes. American Airlines has pulled its 24 Max 8 planes out of service, which affects about 85 flights out of the airline’s roughly 6,700 daily trips, and United has grounded 14 Max 9 planes (a similar model), which together account for some 40 flights a day. Winston says that this shortage of capacity draws attention to another quirk of airline economics: Only American carriers are allowed to fly trips starting and ending in the U.S. He’s in favor of extending what are called “cabotage rights” to overseas airlines, one benefit of which would be that they could provide more seats in situations like this, after a surprise reduction in capacity. Where does all this leave passengers? Winston expects to see airlines cancel some flights and perhaps raise the prices of others to compensate for the lost revenue. That means some passengers might end up spending more to get where they need to go on their preferred timeline; others might just have to be flexible on their departure time, consider another mode of transit, or not go at all. At this point, it’s not clear how long the grounding will last, and while it is terrible publicity for Boeing, some plane manufacturers have managed to fare all right after their new aircraft has come under scrutiny. George Hoffer, a transportation economist, pointed out to me that the Douglas DC-6 and the Boeing 727 both went on to have “stellar” careers after early incidents. So the 737 Max could yet recover—it just might get rebranded. “My guess is that they will eventually … drop the Max” from its name, Hoffer said. Though the true mark of success would be for the plane’s name to go back to where it was: out of the headlines and mostly unknown to passengers.